Paul Milyukov was born in Moscow, Russia in 1859. He studied history at the University of Moscow and became involved in the student protest movement. 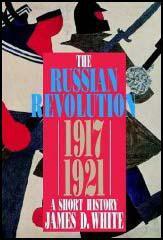 Milyukov wrote several history books including Studies in the History of Russian Culture. His friend, Ariadna Tyrkova, explained: "The Tsar’s Government regarded P.N. Milyukov with great suspicion, and he was forbidden to lecture or to reside in university towns. He himself gradually abandoned scientific research and gave himself up to politics, preferring to make history rather than to study it." An opponent of Russia's autocratic regime, his criticisms of Nicholas II resulted in him being sacked from the university and banished from Russia. Milyukov moved to the United States where he taught at the University of Chicago. 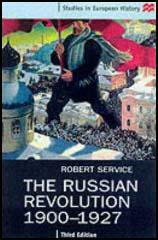 During the 1905 Revolution he returned to Russia and helped establish the Union of Liberation and the Union of Unions. This resulted in him being arrested and imprisoned. On his release Milyukov helped to form the Constitutional Democratic Party. Initially a harsh critic of the Duma he eventually agreed to stand for election. Milyukov was elected to the third and fourth Dumas and was a strong supporter of Russia's involvement in the First World War. In 1915 Milyukov began criticizing the war effort and questioned the competence of Nicholas II as the country's commander-in-chief. In one speech in the Duma, where he listed the failings of the government, asked if the explanation was stupidity or treason. Milyukov supported the Provisional Government but strongly opposed the October Revolution. After the White Army failed to win the Civil War, Milyukov left Russia and spent his final years in France. Paul Milyukov died in 1943.